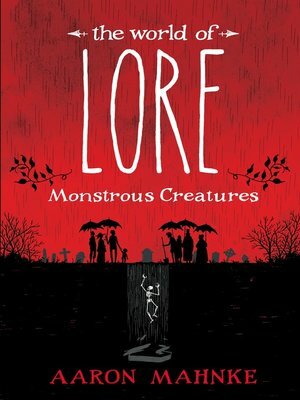 A fascinating, beautifully illustrated guide to the monsters that are part of our collective psyche, featuring stories from the Lore podcast—now a streaming television series—including "They Made a Tonic," "Passed Notes," and "Unboxed," as well as rare material. They live in shadows—deep in the forest, late in the night, in the dark recesses of our minds. They're spoken of in stories and superstitions, relics of an unenlightened age, old wives' tales, passed down through generations. Yet no matter how wary and jaded we have become, as individuals or as a society, a part of us remains vulnerable to them: werewolves and wendigos, poltergeists and vampires, angry elves and vengeful spirits.